He may not be a Ghostbuster, but Cleveland Indians manager Terry Francona knows who he needs to call to help the Tribe when they are coming off a loss. Sunday’s start against Washington marked the sixth time that Kluber has taken the mound following a Tribe loss this season. 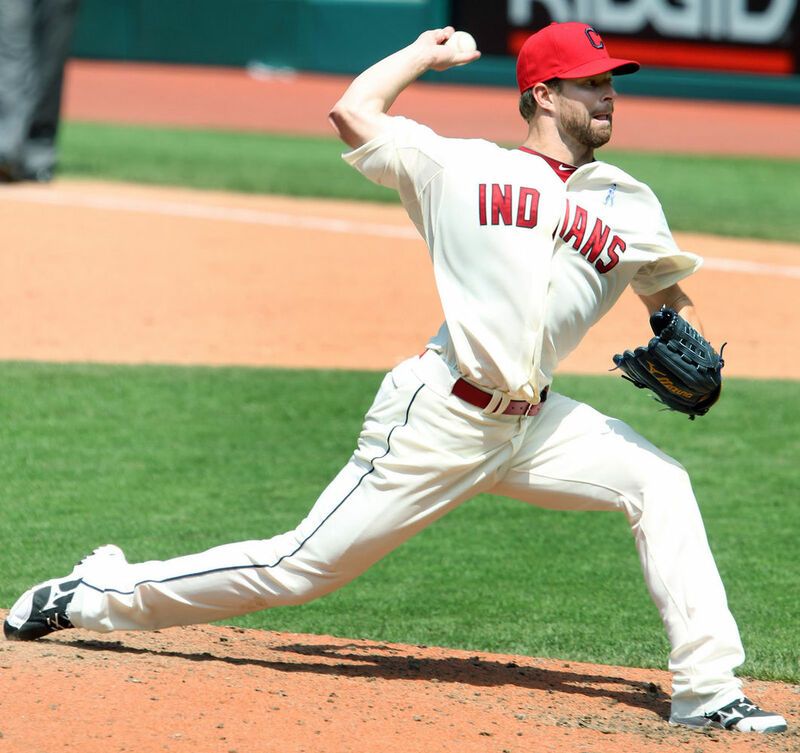 In those six starts, Kluber has gone 4-1 with an ERA of 2.38 and 40 strikeouts in 41.2 innings of work. In the other game, (May 26 against Boston), he earned a no-decision despite giving up just one run and striking out 10 as the Tribe bullpen fell apart in the ninth inning. In his last two starts, Kluber has given up just one run in 16 innings of work, earning him American League co-Player of the Week honors for the week ending June 16. Kluber is sharing the honor with teammate Jason Kipnis, who batted .524 (11-for-21) with two doubles, a home run and four RBIs in six games. “Right in front of our eyes, we’re seeing a kid mature into a really good pitcher,” Francona said in published reports following Sunday’s win. Kluber pulled off the win against the Nationals despite repeatedly finding himself in trouble. In both the fourth and sixth innings Washington had runners on first and third with no outs, and they loaded the bases with no outs in the seventh, but Kluber (and the Tribe defense) found a way to shut them down. On the day, Washington was 0-for-7 with a runner on third base, a number made even more remarkable when you consider that heading into Sunday’s start, batters were hitting .556 (10-for-18) Kluber with a runner on third, the second-worst mark in all of Major League baseball out of 233 pitchers with at least 10 batters faces with a runner on third (according to ESPN Stats & Information). So while Kluber is trending in the right direction, two key pieces of the Tribe offense – Nick Swisher and Mark Reynolds – continue to trend the wrong way. Swisher was held out Sunday’s game with a sore shoulder. During Saturday’s game, Swisher could be seen having an Al Czervik moment (“oh my arm, I think it’s broken!”) as he repeatedly was shaking his arm. Swisher is batting just .125 in June and is just 6-for-64 (.094) with 18 strikeouts in his last 15 games. All kidding aside, the Tribe needs to find out what is going on with the player who they signed to the largest free-agent contract in franchise history. On Monday afternoon, Swisher received a cortisone injection in his aching shoulder and he will be out of the lineup until at least Friday. Hopefully a few days off can help, but how likely is that? As for Reynolds, he is in a major funk – a .128 batting average in June with 23 strikeouts, and just one home run and two RBI. Since hitting a three-run home run against Seattle on May 18, Reynolds has hit just two home runs and had just six RBI in 26 games. “I’ve done it so much in my career, I knew it was going to happen at some point,” Reynolds told The Plain Dealer when asked about his slump. “I was hoping it wasn’t. But sometimes I feel I get a little too jumpy at the plate. I get a little timid. I’m not able to take the quality swings that I want to take. Whatever is going on with Swisher and Reynolds, the Tribe better hope they can get if fixed pretty soon. Despite their recent streak of losing 16-of-20, the Indians are still a manageable 4.5 games behind Detroit as they get ready to host Kansas City and then Minnesota this week. If Francona can find a way to keep things moving in the right direction – the Indians have now won four-of-five – there is still time for them to put some pressure on the Tigers. After all, as good as Kluber is at busting streaks, he can’t pitch every day.